The Night Language tells the story of a young man, Prince Alamayou of Abyssinia (present day Ethiopia), who is taken from his home and the Abyssinian war to the court of Queen Victoria―a world he knows nothing about. With him is Philip Layard, a young apprentice to one of the doctors on the battlefield in Abyssinia, who becomes Alamayou’s guardian, only friend, and eventually, the love of his life. When Parliament accuses Alamayou of murder, the young prince is sentenced to return to Abyssinia, where he will be executed. His only hope comes from the very thing that cannot be uttered: the unexpected and forbidden love between Alamayou and Philip. Inspired by true events, The Night Language is a unique novel of love, loss, and the consequences of repressive societies. The Night Language is a postcard sent from a lost time and place but postmarked today. 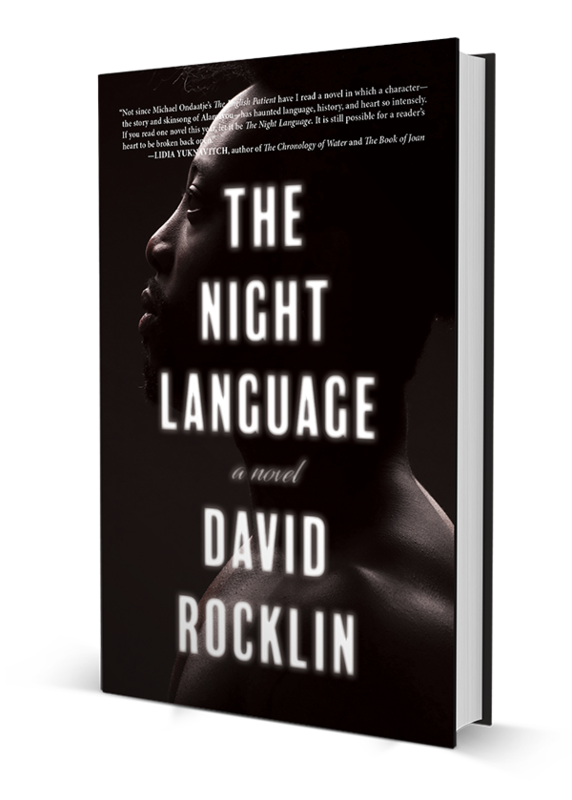 As he surveys the crisscross borders of gender and race in a troubled past, David Rocklin draws a line around the heart of our troubled present: the price of war, the privilege of wealth, the poison of xenophobia. Also: the wordless power of love. The shadows of two black men, an African prince and a British apprentice, dance together out of a forgotten history right into the here and now. 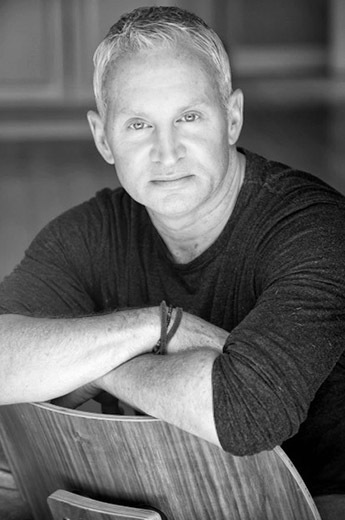 David Rocklin is the author of The Luminist and the founder/curator of Roar Shack, a monthly reading series in Los Angeles. He was born and raised in Chicago and now lives in LA with his wife, daughters and a 150 lb Great Dane who seriously needs to stay on his own bed. He’s currently at work on his next novel, The Electric Love Song of Fleischl Berger. Not since Michael Ondaatje’s The English Patient have I read a novel in which a character—the story and skinsong of Alamayou—has haunted language, history, and heart so intensely. The love story between Prince Alamayou and his steward, Philip, is one for the ages. The Night Language is a postcard sent from a lost time and place but postmarked today. Your Chances Of Getting An Agent. Please confirm the email we will be sending shortly, then after a few minutes you will have a download link. Way to go!